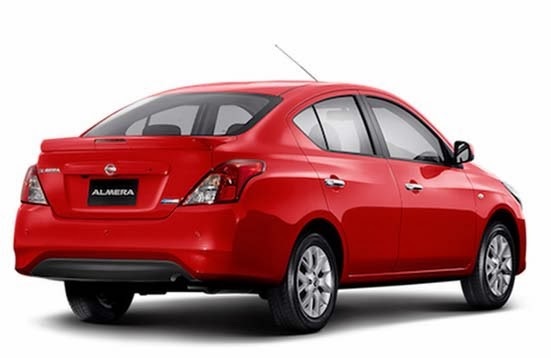 Manufacturer Nissan launched the facelift variant of Almera models in the automotive market Thailand. The changes that applied to the Nissan Almera Facelift really lure prospective Nissan customers in the region. Call it design in all sectors, both interior, exterior and also in the engine. This time, Nissan Almera Facelift has been equipped with CVTC as well as new engine 1.2 liter HR12DE which has three cylinders. While on the exterior sector front grille is now revised by presenting four bars. 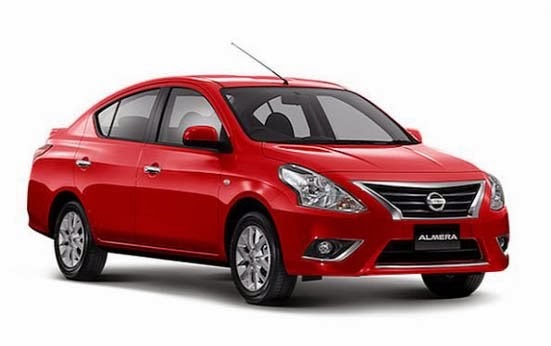 While on the legs sector Nissan Almera Facelift has been supported with a diameter alloy wheels 15 inch. On the rear lights also get changes in terms of design. And do not forget the front bumper and the rear did not escape from a revised appearance. In addition, on the interior of the Nissan Almera Facelift also has got entertainment features with 2 DIN wide screen 6.1 inch DVD touchscreen as well undergoing revision design on the center pack with a bandage black piano. Not only that, for those customers who are less satisfied with appearance standards principals setting up optional which includes tailpipe finisher, chrome side molding, door visors and LED Indicator wing mirrors.